With the 13th-overall pick in the 2017 NFL Draft, the Arizona Cardinals selected Haason Reddick out of the University of Temple. Few players rose up the draft boards of multiple teams higher than Reddick, who drew universal praise throughout the process. 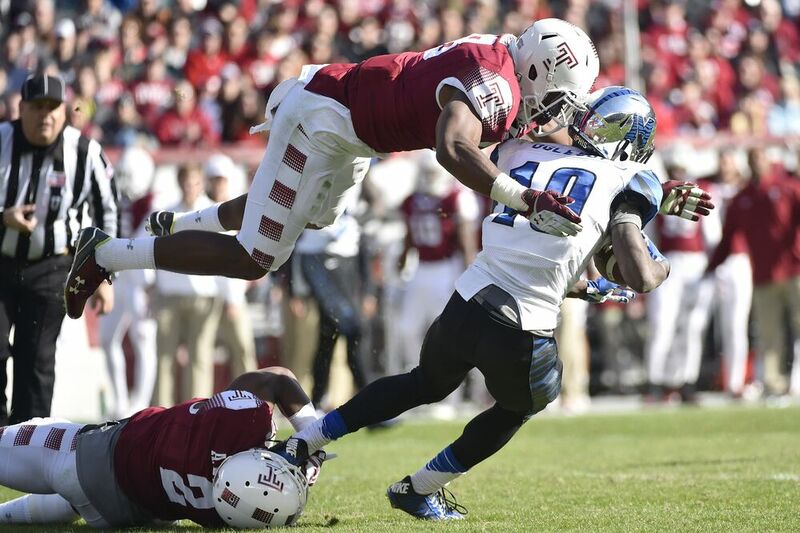 The Temple star was able to shine in the American Athletic Conference during his four years at the program, showcasing his ability to both play the run and drop into coverage. Looking at his tape, Reddick is the perfect linebacker to play the 4-3 WILL position. He should be able to hang with most tight ends, and yet also fast enough to stick with a running back going into the flat on flare and circle routes. If there is one negative with Reddick, it is that he might need some time to adjust. The youngster is coming out of a sub-par conference, so seeing NFL talent is going to come as an even bigger shock than it would for a player from the Big Ten or SEC. Look for Reddick to get on the field often as a rookie, but likely with snaps increasing throughout the year instead of being a full-time, three-down starter from the jump. Overall, Reddick presents the picture of a player with great talent and considerable upside. If he hits his ceiling, he could be similar to Thomas Davis of the Carolina Panthers. The Arizona Cardinals desperately needed to repair the damage done by Calais Campbell, Tony Jefferson and Keith Minter leaving in free agency. This should help.